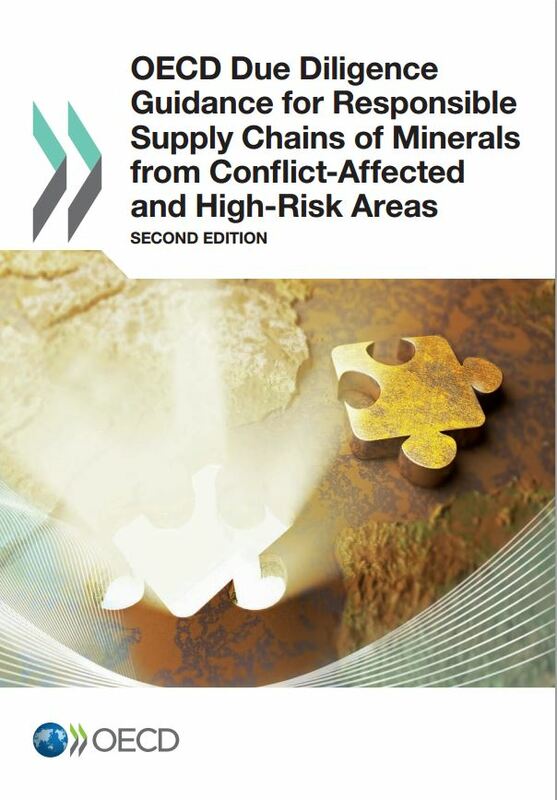 The OECD Due Diligence Guidance for Responsible Supply Chains of Minerals from Conflict-Affected and High-Risk Areas provides management recommendations for global responsible supply chains of minerals to help companies to respect human rights and avoid contributing to conflict through their mineral or metal purchasing decisions and practices. RJC aims to support implementation of the OECD Guidance via its Chain-of-Custody Standard and through provision of training to the jewellery supply chain. RJC is a member of the Multi-stakeholder Steering Group (MSG) established for the Guidance in 2013, following involvement in the Interim Governance Group during 2012. Cross-recognition agreements to support the OECD Guidance under the RJC Chain-of-Custody Standard have been developed with related programs and initiatives, including the London Bullion Market Association (LBMA), the Conflict-Free Sourcing Initiative (EICC-GeSI), the World Gold Council and Fairmined Producer Standards. Download a PDF Overview of the OECD Due Diligence Guidance and Supplement on Gold (June 2012). RJC aims to support outreach and peer learning about the OECD Due Diligence Guidance in the jewellery supply chain. Click the links below and you will be taken to the GoToTraining platform where you can view a recorded webinar at any time. RJC and Estelle Levin Ltd developed the webinars on the OECD Due Diligence Guidance for Responsible Supply Chains of Minerals from Conflict-Affected and High-Risk Areas, and how CoC Certification might assist. Upstream companies are those in the gold supply chain up to and including gold refiners (e.g. large-scale and small-scale miners, mineral traders and exporters, etc); downstream companies are those after gold refiners (e.g. banks and gold traders, and jewellery manufacturers, wholesalers and retailers).